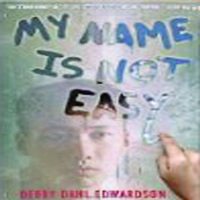 This young adult novel by Edwardson was a finalist for the National Book Award and a Junior Library Guild Selection. Prior to the Molly Hootch Act of 1976, which required Alaska to build and staff high schools in rural villages, children who wished to continue their education traveled to boarding schools in the lower 48 states or more populated parts of Alaska. One such student is Luke, who struggles with the strange culture, food, language, and attitudes at a boarding school hundreds of miles away from his Arctic village. ISBN-13: 978-0761459804. Published by Amazon Children’s Publishing, 2011.